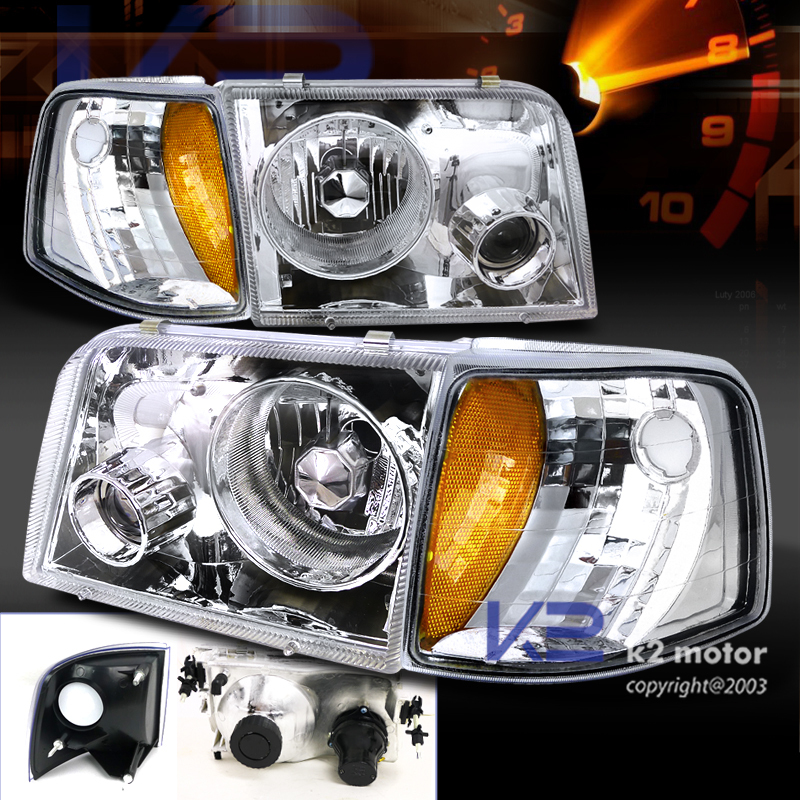 Hurry in on our best deals on 93-97 Ford Ranger Chrome Projector Headlights + Corner Lights Combo and enjoy FREE SHIPPING and other promotions! 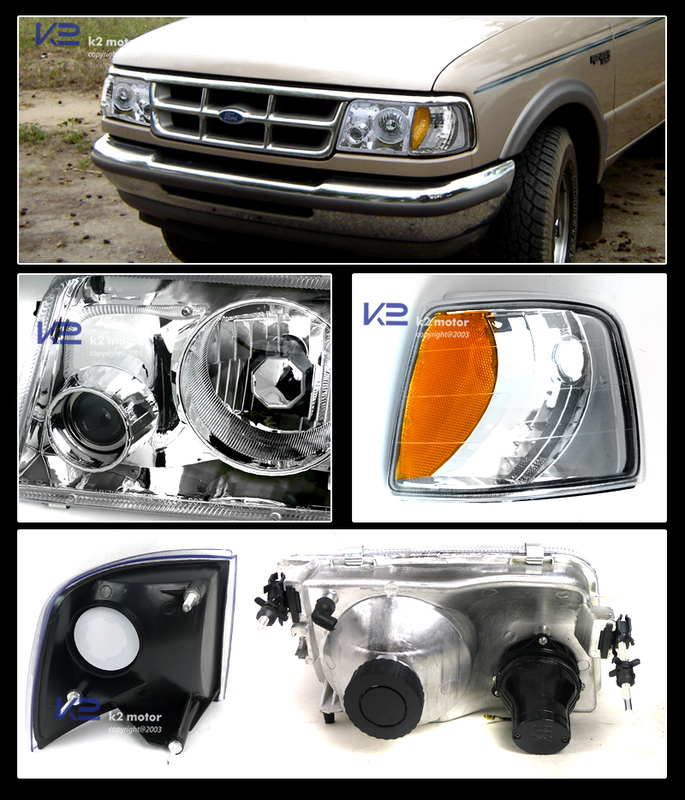 Brand New COMBO: 1993-1997 Ford Ranger Projector Headlights + Corner Lights. A pair of high quality projector headlights for 93-97 Ford Ranger. The Projector headlights carry by K2-Motor provide for intense light beam concentration & unique style for your vehicle. Innovative & Unique design that customizes your vehicle, with only the fraction of OEM headlights cost. The Headlights is securely mounted by the original screws & nuts of the OEM parts. If you are unsure about installing automotive accessories by yourself we recommend consulting a body shop.